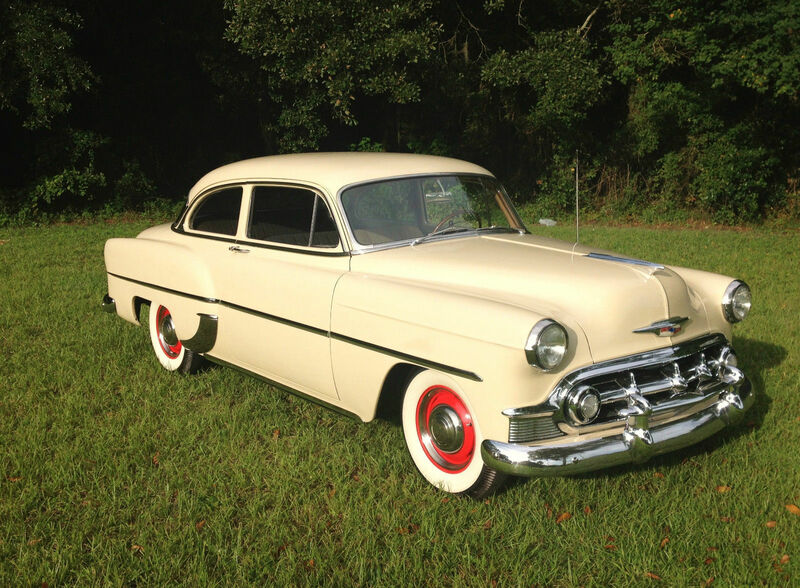 This 53 Chevrolet came to us as a uncompleted project. Actually a botched project. Our job is to repair the damaged/botched chop and make her a runner. The more we looked at this project the more we found that most everything was in need of some sort of repair. We have the top in place. The motor now has mounts and the transmission has a custom tublar cross member not a ratchet straps holding it in place. More to come..